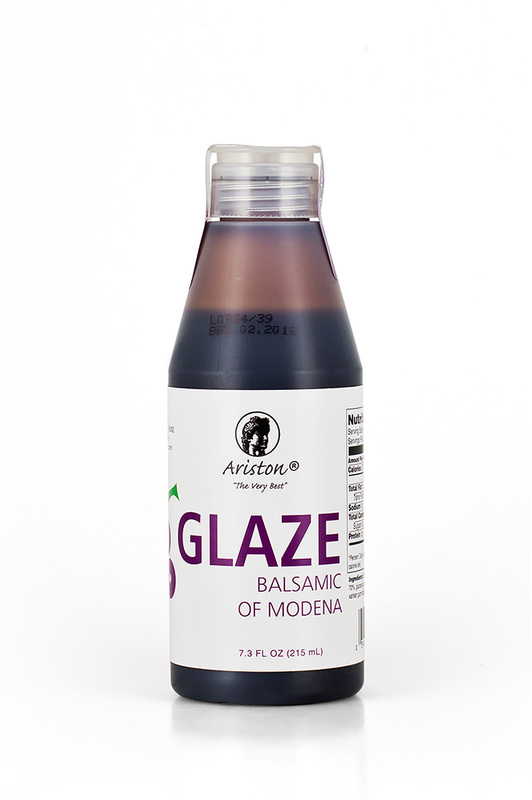 Ariston Traditional Balsamic Glaze 7.3 fl oz | Ariston Specialties | Greek for the "Very Best"
Syrupy, sweet, delicious and tangy this glaze takes out the guess work & time in reducing balsamic vinegar. Great for anyone that wants to create a quick and easy culinary masterpiece! 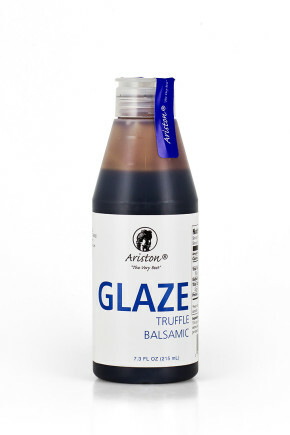 Aristons new Glazes pair well with your favorite cheese, caprese salads, grilled vegetables, sandwiches, hamburgers, chicken, meat, fish, drizzled on Greek yogurt, gelato, ice cream, cakes, crepes, and fresh fruits. 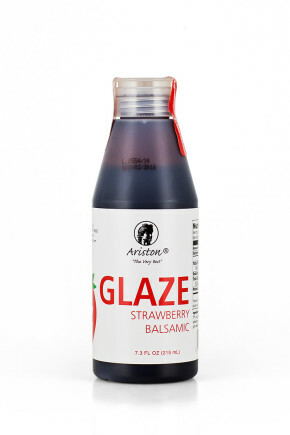 You can use this glaze for both sweet and savory dishes. Pairs well with Ariston Select Extra Virgin Olive Oil. 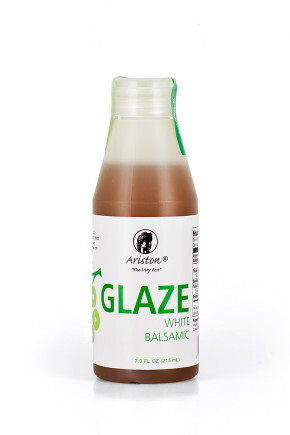 I’ve bought a glaze similar to this before and it’s delicous. It’s great on salad or grilled chicken or anything really. It adds just the right amount of flavor.